In Balanced Achievement’s ‘iThrive’ series, we aim to present you with a variety of useful iOS and Android Apps that you can utilize to accelerate your personal growth and improve the quality of your life. We meticulously select innovate Apps that are designed to help individuals make the personal changes needed to move their lives in the direction of happiness, success & fulfillment. 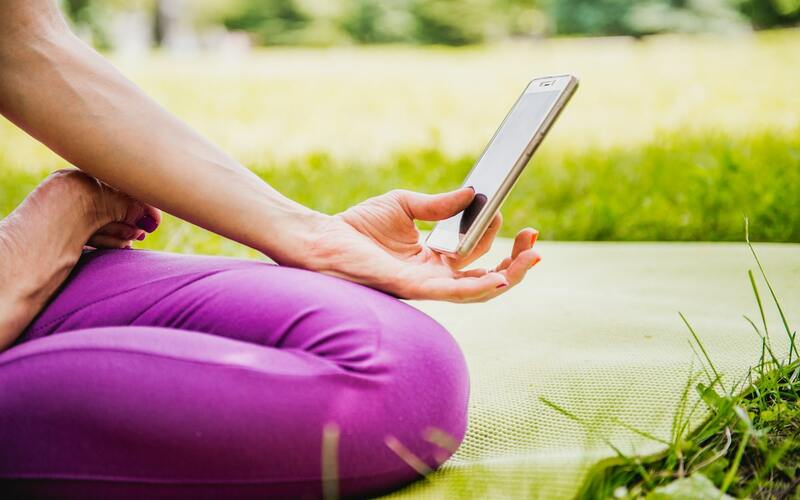 In this article, we look at the Gaia: Conscious Yoga, Meditation, and Spirituality App which offers an innovate video subscription service that promotes spiritual growth. For many people living in the materialistic and cutthroat societies of the western world, a yearning for a deeper and more spirituality meaningful existence forever remains unfilled. As they go about their days frantically working to beat deadlines and stay ahead of the competition, desires to uncover the mystical secrets of life and transform themselves as individuals gnaws at them internally. Yet still, what may be even worse about this undesirable reality is that after they finish another exhausting day and come home with hopes of winding down by watching some T.V., all they’re able to find is disheartening news, violent movies and scandalous television series. Fortunately, however, this doesn’t have to be the case thanks to the online video subscription service known as Gaia. Since they initial launched their video service six years ago, the team at Gaia has been able to build an unrivaled digital collection of over 8,000 films, instructional videos and documentaries, all of which are dedicated to topics such as spirituality, yoga, meditation, consciousness and personal development. Moreover, what makes Gaia really standout above other companies offering spiritually related media is their commitment to featuring the industry’s most respected minds, their dedication to producing first-class content, and their platform which allows users to easily discuss individual videos with one another. Thanks to this unique collection of offerings which can be accessed on a wide variety of Apps, including iPhone, iPad, Android, Apple TV, Roku and Amazon Fire, Gaia is achieving their goal of awakening the evolution of consciousness. Yoga: Within Gaia’s Yoga category, users can find a wide range of content dedicated to subject such as traditional yoga, yoga philosophy, meditation and fitness & pilates. A few examples of Gaia’s yoga related films and series are ‘Touched By Peace’ by Swami Chidanand Saraswati, ‘In a Heartbeat Vinyasa Yoga’ by Clara Roberts-Oss and ‘The Process of Awakening’ by Kevin Courtney. Transformation: Gaia’s Transformation category houses a range of films and videos dedicated to the topics of spiritual growth, alternative health, personal development and expanded consciousness. Healing ‘The Luminous Body’ by Alberto Villolod, ‘Inspirations’ with Lisa Garr and ‘Missing Links’ with Gregg Braden are a few examples of the offerings you’ll find in the transformational category. Seeking Truth: Within the Seeking Truth category, viewers can find original Gaia programs and also content dedicated to the subjects of metaphysics, ancient origins and paranormal activity. A few examples of Seeking Truth videos and films are ‘Wisdom Teachings’ by David Wilcox ‘Awakening Our Collective Consciousness’ with Sperry Andrews, and ‘False Flags’ with Richard Dolan. Film & Documentaries: As the category title suggests, Gaia’s Film & Documentaries category houses a range of entertaining, engaging and educational full length and short length films as well as a plethora of documentaries. Samadhi: Maya, The Illusion of The Self, Mandorla: The Only Journey Is The One Within and The Healing Field: Exploring Energy & Consciousness are three examples of Gaia’s offering in this category. Considering the sheer number of transformational films, instructional videos and inspirational documentaries subscribers have access to, it’s certainly hard to argue with Gaia’s modest asking price of $9.99/month. This is especially true if you or someone you know desires a more spiritually meaningful life but can’t seem to get away from hustle and bustle of the western world. By making the commitment to exchange the disheartening, violent and gossipy programs you currently are watching on T.V. for the spiritually uplifting and thought-provoking content on Gaia, it’s certain that your life will begin to transform in powerful ways.